Hot Glue vs Plastic Framed 18650 Packs : Which One Should You Buy / Build? 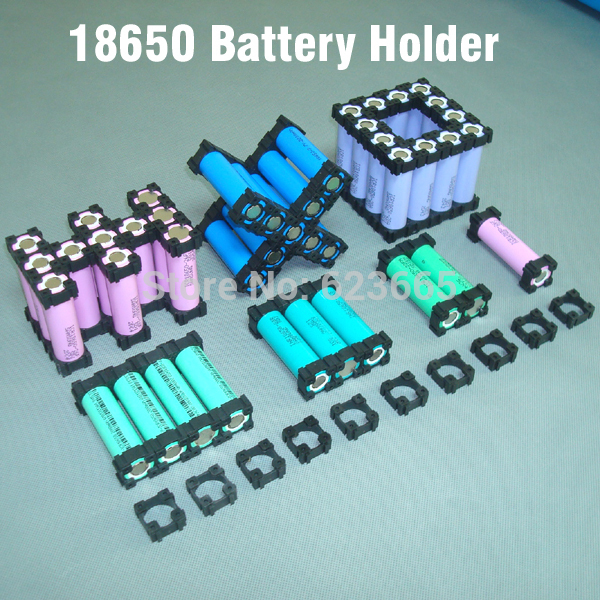 Whether you’re in the market for an 18650 ebike battery pack or you’re thinking to build one from scratch one of the big decisions you’re going to have to make is whether you’re going to go for a pack that is glued together or one that uses plastic stencils to keep the batteries together. There are benefits and drawbacks to each and this article will help buyers & builders alike educate themselves on which setup is going to be best for them. Damian Rene showing just how much fun pack building can be on his Youtube channel. The glued packs offer maximum power density for your pack. For many years, almost every custom hand-built pack that was a non-standard shape was hot glued together. The idea is that you hot glue the cells together and the glue and batteries creates the structure of the battery itself. 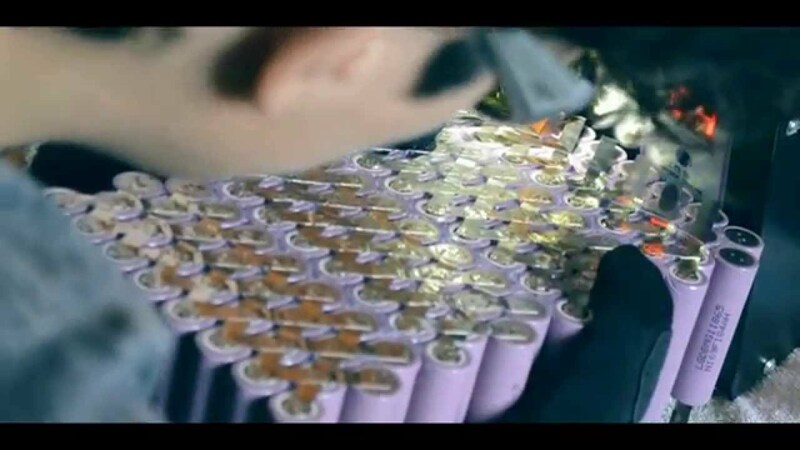 Doing this allowed builders to make batteries in almost any shape, but the problem was that the glue can trap heat in the center of the battery pack making it harder for the center cells to shed heat. Another big problem is that the packs really must be padded because when it bumps against the frame of the bike the cells themselves often take the beating. 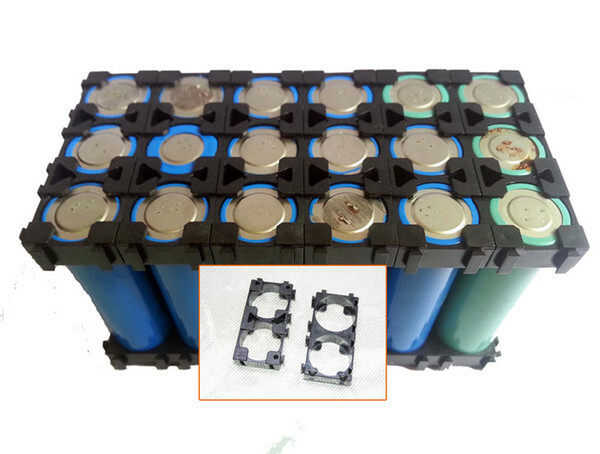 Over the past year or two we’ve seen more and more packs come onto the market that use plastic cell holders to create a structure for the battery pack. These plastic stencils run about $5.50 shipped from China for enough stencils to hold 50 cells here. The quality of the plastic is pretty low and I have a hard time getting the stencils apart without breaking them. I’ve found that a good way to get the plastic stencils apart is to use 2 long blocks of wood, one on the top and the other offset on the bottom, and gently tap the top block with a hammer to get them apart. If you look carefully at the stencils you’ll see that they only go together and come apart one way. If you’re not taking them apart the right way and start beating on them with a hammer they are just going to break (trust me on this one). You also must put them together one dimension at a time or you can end up with the situation shown in this Bruno ‘Power’ Buccianti video where you can’t actually physically get the stencils together. So how do you find out if the packs you are buying are using plastic stencils or are glued together? 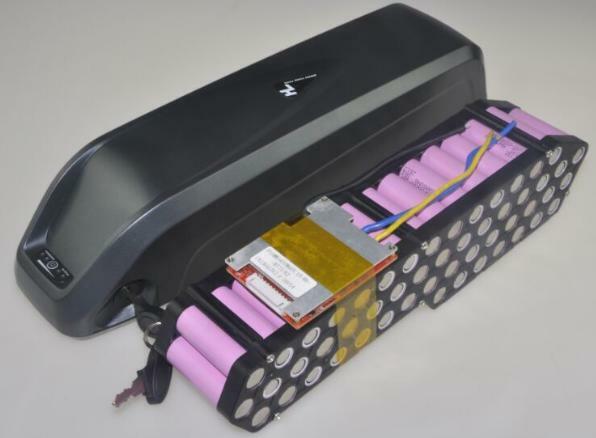 Sometimes the description of the battery pack on the website will say, but often it will not. The only way to be sure is to ask. I’ve found that some packs I get, like every single soft pack from Lunacycle, has been plastic stenciled packs. The 48v shark packs (in the Hailong frame pack case) are all stenciled, but the 52v shark battery packs from Luna are not. 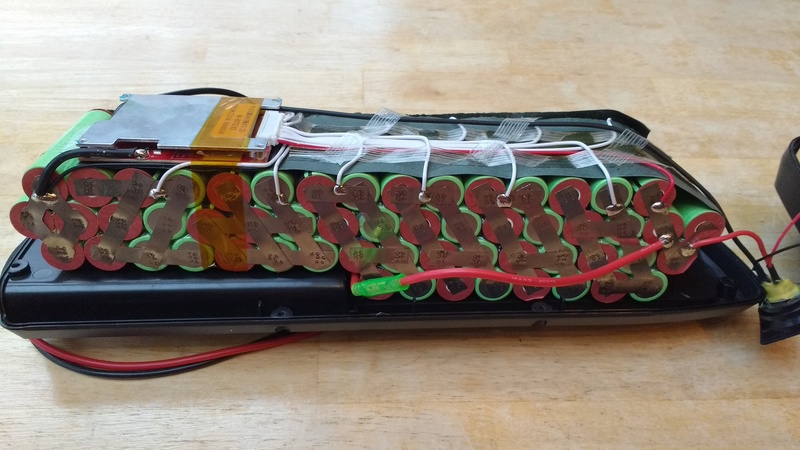 When I asked Eric about that he said that there just was not enough room in the shark case for 52v worth of batteries and the BMS so they had to glue the cells together. When you buy a pack that is glued together it is important that you buy the right cells to go with the power load that you are going to use. You can get by with a 25 amp BBS02 with a 52v NCRb shark pack, but if you plan on using a BBSHD or another 30 amp motor then you should go with the PF or GA cells. My GA shark pack is currently my favorite battery and I’ve had zero issues with it after several months of hard use abuse. A hot glued 52v NCRb pack. The case is literally packed to capacity. Just because a pack is glued together does not mean that you should avoid it. There are plenty of glued packs out there that work very well in the designed power range. The problems start to crop up when you are ‘pushing’ the cells to the limit of their discharge capability on a regular basis. If the pack is getting too hot after every ride then you need to consider getting a pack that can put out more power without generating quite as much heat. Certain battery chemistries like the NCRb and the GA cells tend to get warmer than other chemistries like the 25R which doesn’t seem to get hot no matter how hard you thrash on them. The best way to purchase batteries is to educate yourself about new cells and to try them before you buy, if you can. Unfortudently, both Clinton and Trump have asked me to be their running mate and I honestly can’t decide which one to choose. My policy of a free handgun and 40 oz of beer for every single American will guarantee a win to whomever I run with. Don’t worry, I’ll get the Mexicans to pay for it. If you bend the contacts you can get the cheap spot welders to go three deep. This welder died about 3/4 of the way through my first big project. Lame. Now my comment: I have read the “heat is trapped” when the batteries are glued together argument. quite a few times. Air makes for a very poor thermal conductor though, so unless you want to thermally insulate a bad cell that is getting too hot, I think if you just want to get heat away from the center in a normal operating battery, wouldn’t the metal even with the plastic insulator make for a much better heat conductor, taking away the heat from the center batteries more than the air gaps (with no circulation at all – there is no fan)? M.Klose, replying to your comment, when gluing cells together it is a proven fact that the cells in the middle will get much hotter, it is not a theory, it actually happens! Note that the cells on both ends of the pack are much cooler and they don’t get damaged by heat at all while the cells in the middle receiving direct radiation from both sides + it’s own heat, they actually “exploded” (smoked) in this test. Note that this is just for one line of cells, if you add a lot more cells on top and bottom the heat gets even worse! I fixed a glued pack that got really hot, enough to melt the glue and move the cells. Sometimes glue is fine IF… IF… you’re sure the battery pack is running cool, if it gets warm it is MUCH warmer inside the pack. Thanks for the article. I agree with Bruno, Glued cells should be avoided at all costs. Most of these ‘glued’ packs use hot glue from a gun which will re-melt when it gets hot. Not only will you have a weak pack but it will be thermally inefficient (reduced life-cycle) and hard to replace cells. That 52v NCRb pack looks like a nightmare waiting to happen. Where is the impact protection? This Hailong is a weak case that relies on the cell holders for its basic structural rigidity. Sure makes sense, but for who? Not everyone rides like they stole it, and what happens with these articles is that Sunday riders suddenly make all sorts of demands. Kinda like the plastic gear effect. I read hundreds of support emails telling me how concerned they were. Everytime something went wrong with their BBS it was always the plastic gear. Yet, so very few have been replaced. Karl’s article do more than educate, they do have the effect of creating stirs among those least needing to be concerned. Now don’y get excited, I linked 25-75 posters everyday for 6 months to these great articles. Invaluable, but lets not obfuscate the facts. Most won’t fry their packs or their plastic gears. I dare anyone to go to ES and start ranting about Cellman’s glued packs. Post the link, I’ll watch. NOW if you’re Karl, or Bruno, or anyone of the power users riding hard and putting it up wet with performance cells, and drawing maximum amps for most of your ride, pay attention and get those air gaps. But if you’re a majority of the casual riders, buy that quality cell, glued pack, and let the hot dogs sweat the heat. Thanks for all the referrals Tom, I really appreciate it. I have to say that the 52v glued shark packs are pretty awesome. I didn’t mean to make a stir about the nylon gears, but in my opinion, they are the weakpoint of the BBS02 now that the controller mosfets are upgraded. I bet there are STILL a lot more controllers that fail than plastic gears though. If you match the right cells with your power usage heat should really not be an issue. I push every pack I get because that what I was born to do. Thanks, I didn’t mean, in my clumsy writing, to imply you were at the heart of the flurry. Although your missives are becoming the heart and soul of all things BBS in the USA. It’s been blazed across ES long before you entered, with some of the best BBS articles written. It IS really important for 02 riders to be aware that there is a right and a wrong way to ride the 02. Treat it right and it’ll serve the rider well. It’s the HUGE influx of new riders that imagine themselves as riding like Karl, when in fact they won’t be. And get all paranoid. I’ve got a freaking out email from several HD riders that went straight to the plastic gear over the drive rubbing on the kickstand. Any noise suddenly becomes plastic gear paranoia. It cracked me up..On the other hand we know a barely 100lb lady that managed to fry one. But This daily commuter hasn’t managed to yet. I think it’s the few weeks of watching the wattmeter and it’s details that have saved mine. What would be exciting would be some sort of ferro material like Justin found for motors to pack batteries in. its called phase change composite/thermal interface material. aka hi-tek paraffin thrashed to megadeth on E•S. How big a space is there in the Hailong-1 case for a BMS with the 14s4p pack? Do you have a favorite BMS? Or at least any recommendations? Not much space. Use the smallest BMS you can find. I have not found a 50amp bms that will fit, only a 30 amp one. All I’ve used is the Luna BMSs. Eric is ordering thousands more at my bequest. I think there are some serious flaws in this article. First, it presents a false choice. There are ways to assemble a pack other than cheap, flimsy plastic forms or hot melt glue. Hot melt, IMO, is a poor choice for reasons other than typically given, it’s simply a poor tool because its working time is so short. The results are imprecise and the gun can tend to damage the heat shrink. I don’t personally worry about hot melt “melting” in use because you’re already at dangerous temps in the cells if that happens. There are better gluing solutions. 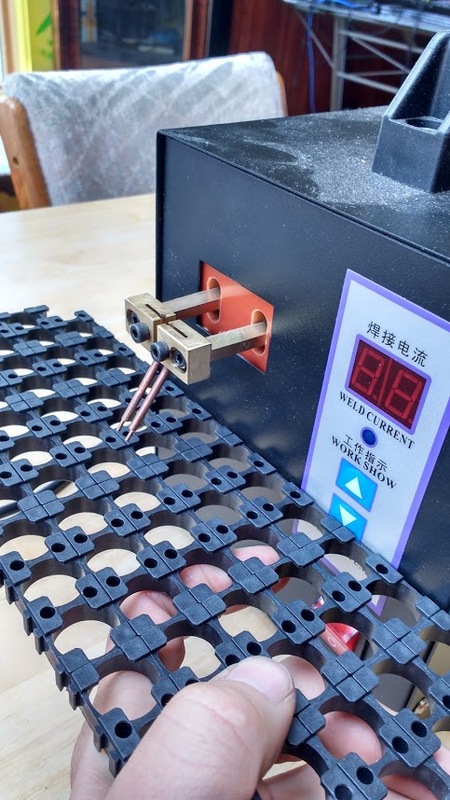 Second, the disadvantages you list for hot melt are also disadvantages of the plastic forms, namely that the cells form part of the structure, the inner cells get hot, and you have to pad the pack. You aren’t really saying anything. Additionally, the forms waste space and limit the cell configurations you can use. Worst of both worlds. Fact is, proper cell choice will limit heat buildup in the cells, making the “hot inner cell” argument moot (as well as misguided). Glued cells may result in harder servicing but welded packs make that hard already. I’ve stopped using spot welding because I’ve found a better solution, one that results in better pack performance AND improves servicing more than frame vs. glue does. Personally, I value keeping packs small so I would never consider forms. I glue my packs, just not with hot melt. If I built giant packs like some do I’d probably rethink my approach. You have to look at the big picture.